Upgrade of airports will create employment opportunities, says FAAN - BlogIT with OLIVIA!!! 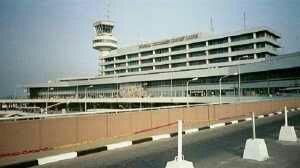 The Federal Airports Authority of Nigeria (FAAN) on Monday said that the upgrade of airport terminals in the country would create employment opportunities for Nigerians on completion.This is contained in a statement issued byMr Yakubu Datti, General Manager, Corporate Affairs, FAAN. The News Agency of Nigeria (NAN) reports that FAAN is currently embarking on various projects at the 22 Federal Government-owned airports toward upgrading them to international standards.The statement quoted Mr Saleh Dunoma, Managing Director of FAAN, as saying that the agency had put in place necessary commercial offerings which had resulted in renewed interest of investors in the sector. “The ongoing projects are aimed at making the airports more user- friendly and offer passengers a whole new travel experience,’’ Dunoma was quoted as saying at the Second Airport Business Summit in Abuja.It stated that the International Air Transport Association (IATA) 20-year passenger growth forecast projects that passenger numbers are expected to reach 7.3 billion by 2034. “This would represent a 4.1 per cent average annual growth in demand for air connectivity.“African airports, rated among the fastest-growing markets, will benefit fromthis growth and thus Nigerian airports are therefore expanding their user handling capacity both in aeronautics and non aeronautics services,’’ it quoted Dunoma as saying.